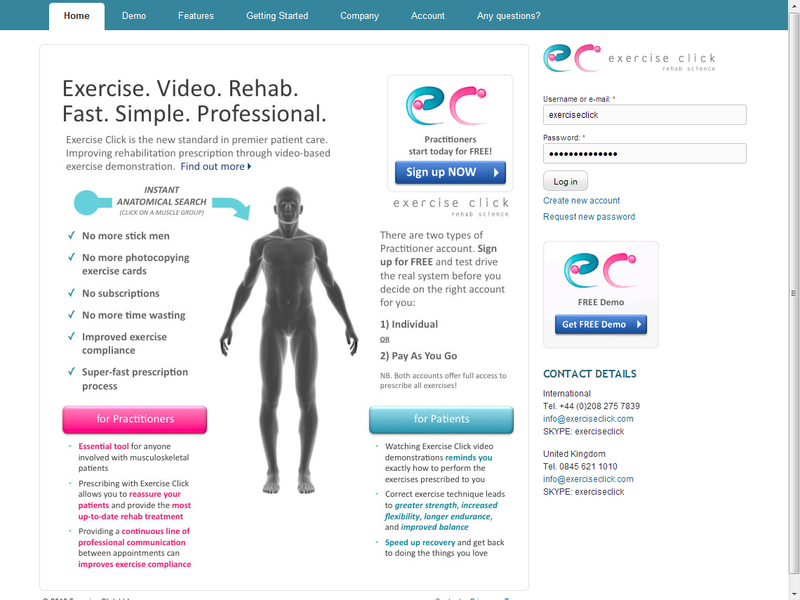 Exercise Click provides hundreds of easy-to-follow videos of injury rehabilitation exercises. Fonant built the Drupal site to provide the required functionality for the project. In particular the site required the ability for certain users (medical practitioners) to be able to create and control user accounts for their own patients. The site also uses online payments and a credits system, so both patients and practitioners are able to buy access to training videos in a flexible manner.